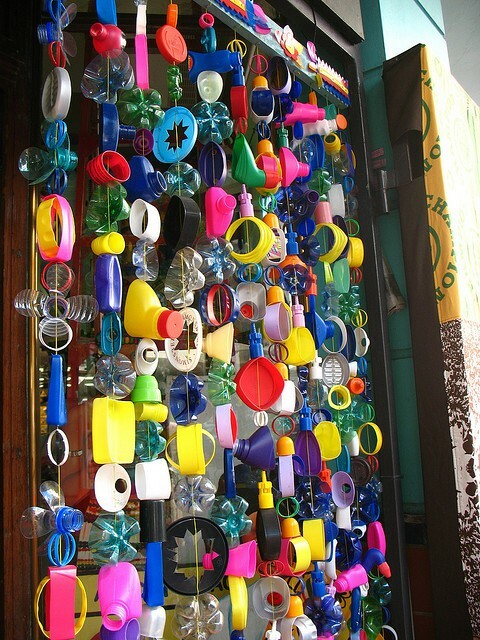 Here’s another great crafty idea that also helps you recycle your old plastic bottles,cups and lids! I just LOVE the colours in this and think it would look amazing hanging in the kids outdoor play area, cubby house or deck. This entry was posted in creative stuff and tagged craft, create, DIY, kids room, outdoor, recycle by rudyandthedodo. Bookmark the permalink. My friend has been collecting bottle caps for AGES so she can make something similar… Come to think of it I don’t think she’s done anything about it for a while. I might just have to send her this to spur her on a bit. This one’s even prettier than the one she’s using as inspiration.